It's been a minute since I've talked about Botbots here and that's a shame since I love them so. I've got a pack unopened in my toy room and plans to grab another pack or two this weekend. I've been sick all week, so having some fun with Botbots this weekend sounds like just the pick me up. I'd call this Botbottalk, but I recognize other sites. These came along as I was pining for a return of Food Changeables and offered a spiritual follow up that built upon that idea. The thing is, these don't have to be a Transformers branded thing for me to enjoy them. A hamburger or a laptop that transforms into a robot as a small inexpensive toy is just the kind of thing I'd be all for. In fact, I kinda hope to see cheapo rip offs of Botbots eventually. I'd totally be down for hitting up multiple Family Dollars tracking down weird copycats. Everyone has made the Shopkins comparison, and since we're comparing I hope they do holiday themed sets like Shopkins does. My wife buys Shopkins and frankly I'm jealous of those holiday sets. They're really neat. 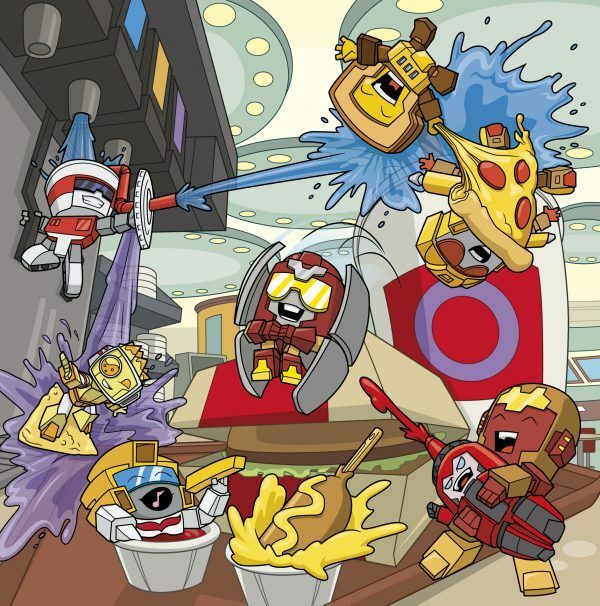 Everyone and their neighbors mama has wished for a McDonald's Happy Meal of Botbots. Part of me just wants to buy a cheeseburger and fries and drop a blind pack into the bag. That's how ridiculous I am for the idea, I'm planing to DIY a Happy Meal. 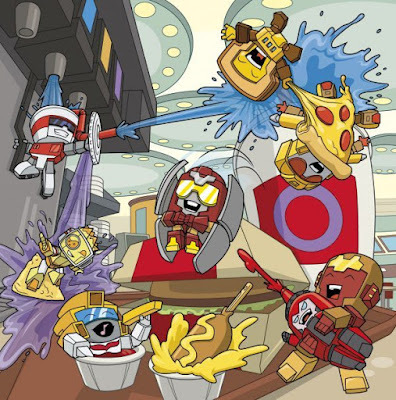 Though thinking Happy Meals, they'd obviously be lower budget versions of the Botbots (which I'd be ok with) or maybe even odd figurines or odd gimmick toys (which I'd surprising also be ok with, I'd kind of like a pull back corn dog toy). 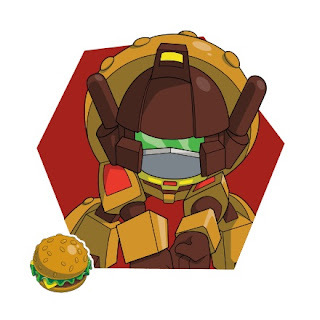 Realistically, I'd be all for whatever fast food place that would do a Botbots meal, but deep inside I want to see that Food Changeables/Botbots cross over happen. It kinda has to. I'm excited for the Japanese market to get these. I'd love to see Gatchapon versions or what kind of odd exclusives they'd get. Clear Botbots exclusive to some random release that I'd probably never be able to obtain? That would drive me crazy, but I'd love the possibility. You know, maybe they could actually make the Rockbots happen. Man, what kind of world would it be where a never produced toy concept from G1 was released decades later in a sub line with a cupcake vampire?